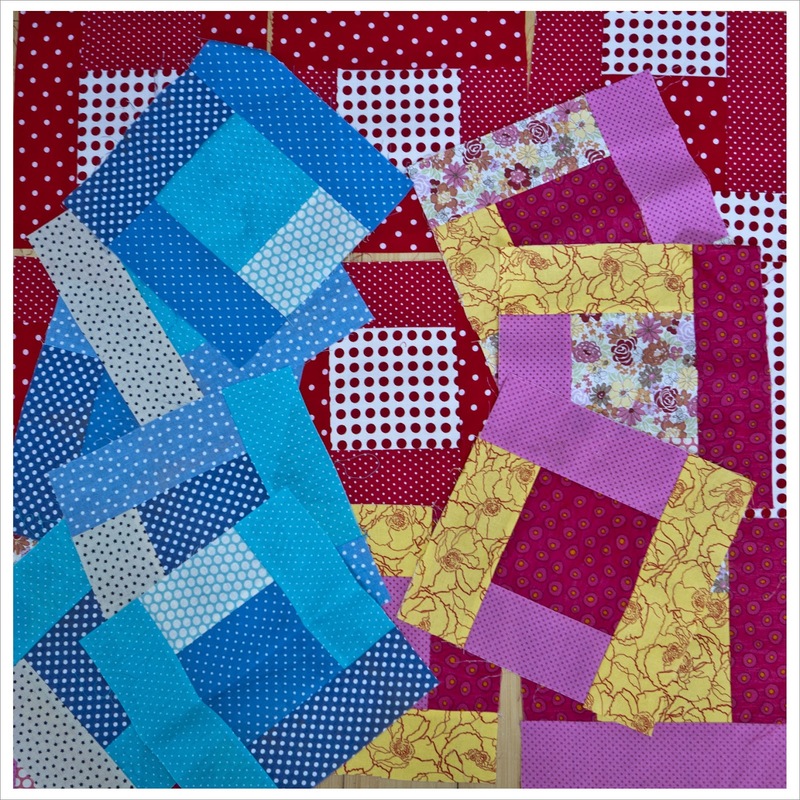 A quick update on the Log cabin Quilt Project for Siblings Together. By mid last week I had received the remainder of the blocks and this first lovely set here is from Harry who is 12 years old. Well done Harry ! The next set is from Kim who contacted me two weeks ago when she read my block and offered to help. 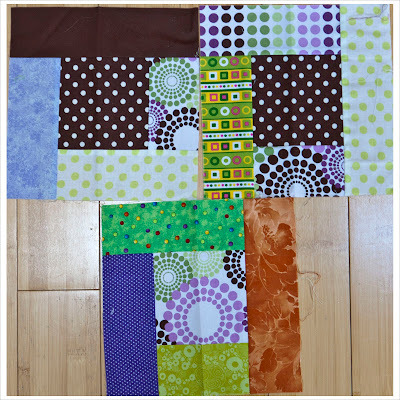 These will add great highlights to the quilts. And the last set is from Liz who incidentally is Harry's mother. 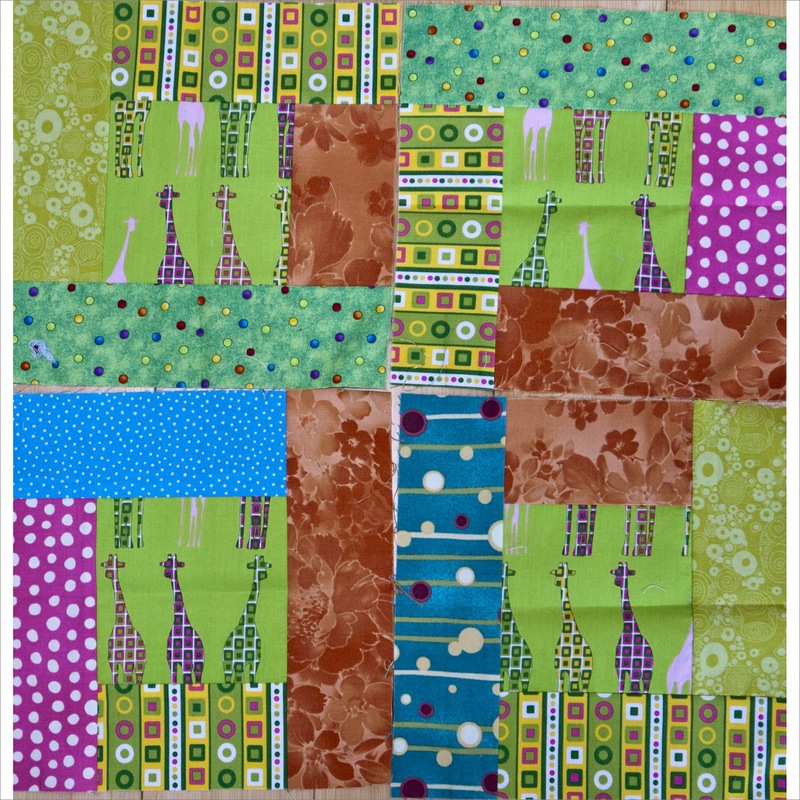 I do love Laura Wisbrun's fabrics. And I went straight to work after I had the blocks and made 3 (three !) 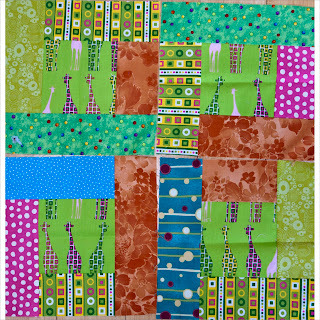 quilt tops which makes the total 4 including the already pieced top from Joanne. 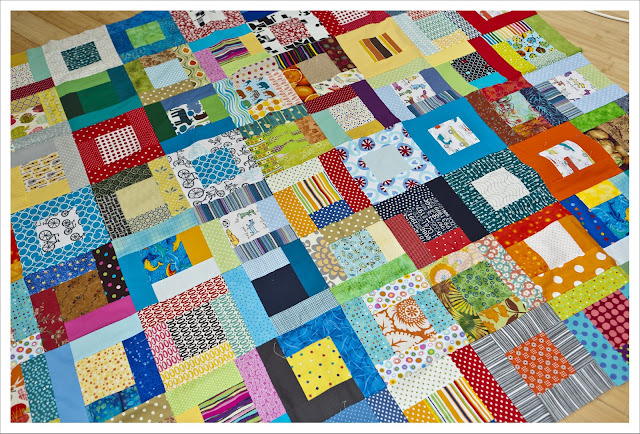 I pieced two larger quilt tops that are multicolored and fairly gender neutral. 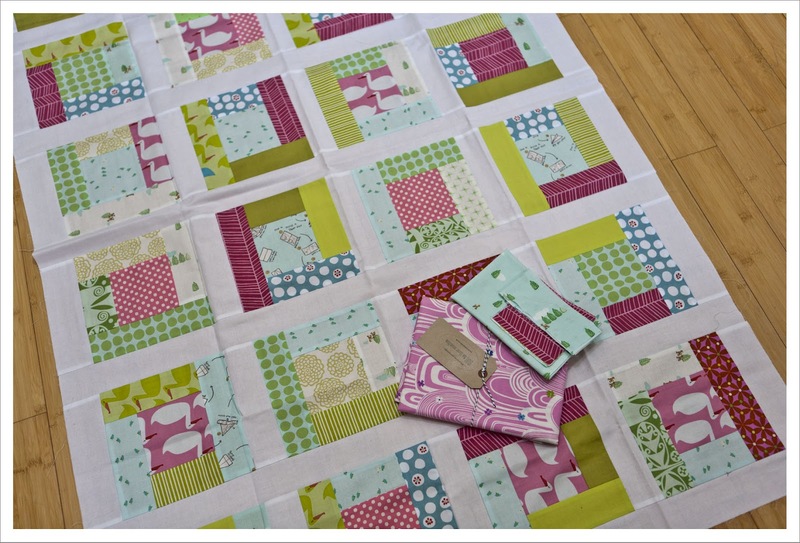 I love how each block gives the quilt tops their own little story. And one smaller quilt for which I reserved most of the more girly colored blocks. I added a border in two different shades of vibrant pink to complete the picture. And this is Joanne's top she sent me a while ago. I love the way you have made all of these work together, they look fantastic! Well done you. 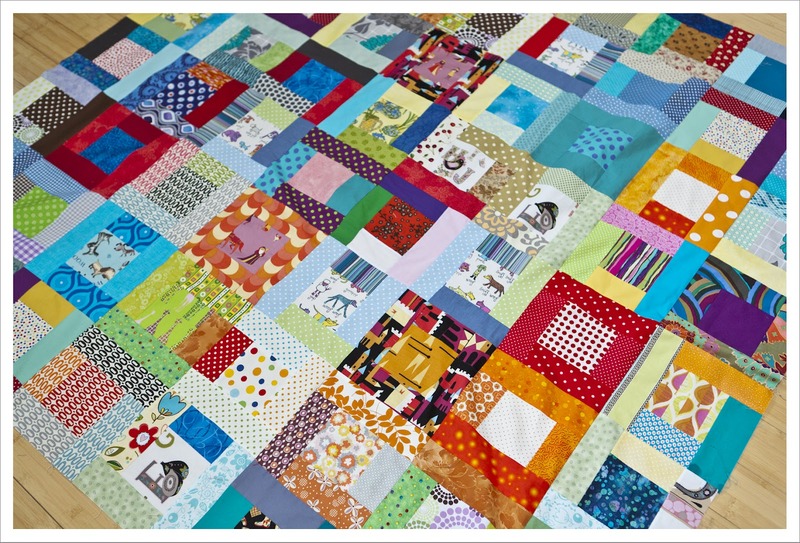 The quilts look fantastic, the blocks blend together so well. Thank you for doing this! They are all beautiful! I love the last one! And those blocks from the was it 11 year old? I love when people begin to sew young! You did a very good job in putting such different blocks together. Well done! and thanks! They look great - I love the way you've put them together - thanks for all your hard work! I must say I love the different fabrics people have chosen - the quilts are so lovely and bright. I'm sure they'll be treasured by their lucky recipients! 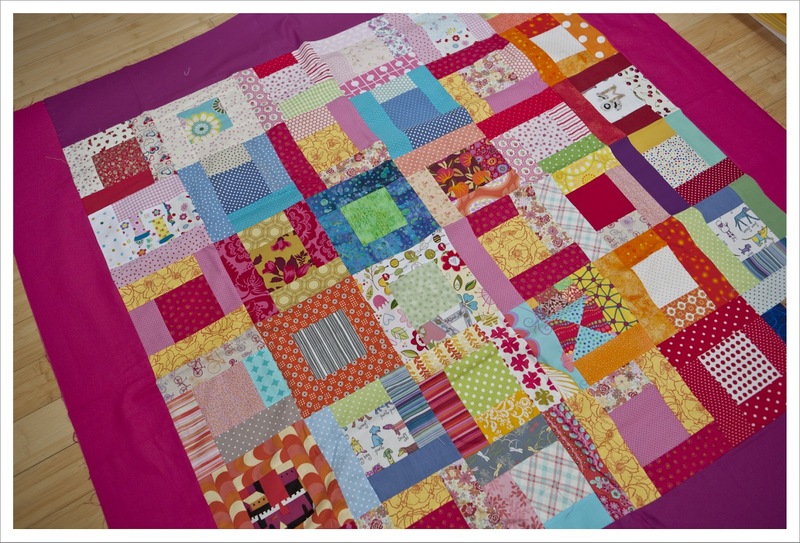 Oh and Harry has caught the quilting bug - I'm helping him piece a whole quilt himself! fabulous - what a great contribution from everyone! Wow they look fabulous together, you have done a great job.